We are so happy to be able to host Lynette Anderson in our store in February 2013. She will be spending the weekend running two different workshops. The day’s fee of $130 includes tuition, pattern & kit worth $50 and refreshments for the day. Places are limited and are filling fast. Contact the store on 6253 0011 to book or for further information. 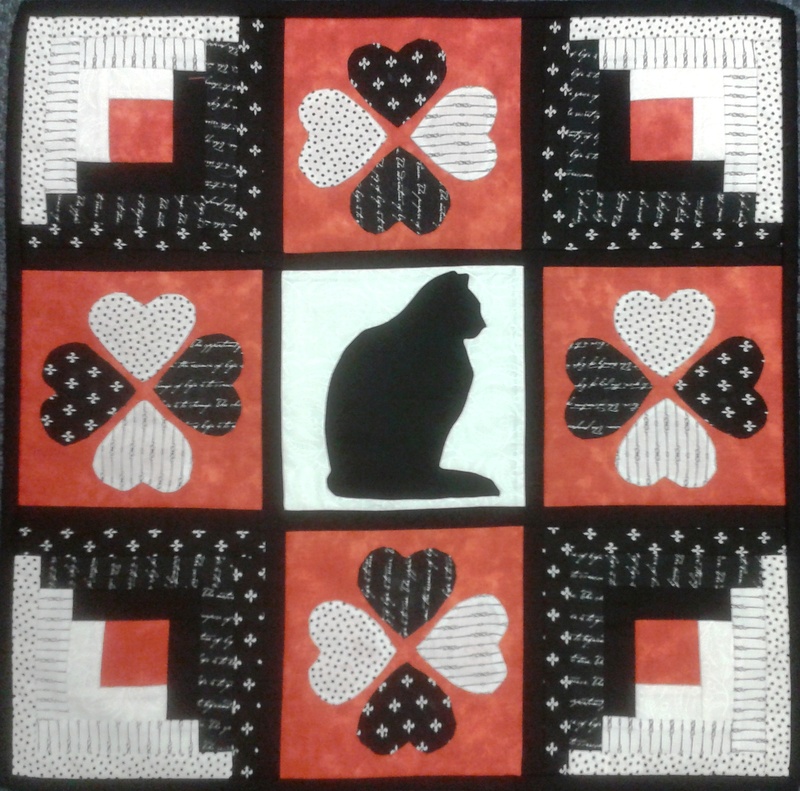 This year we held our first quilt challenge at Hobbysew Belconnen and were so excited to receive such an array of creative and clever entries. 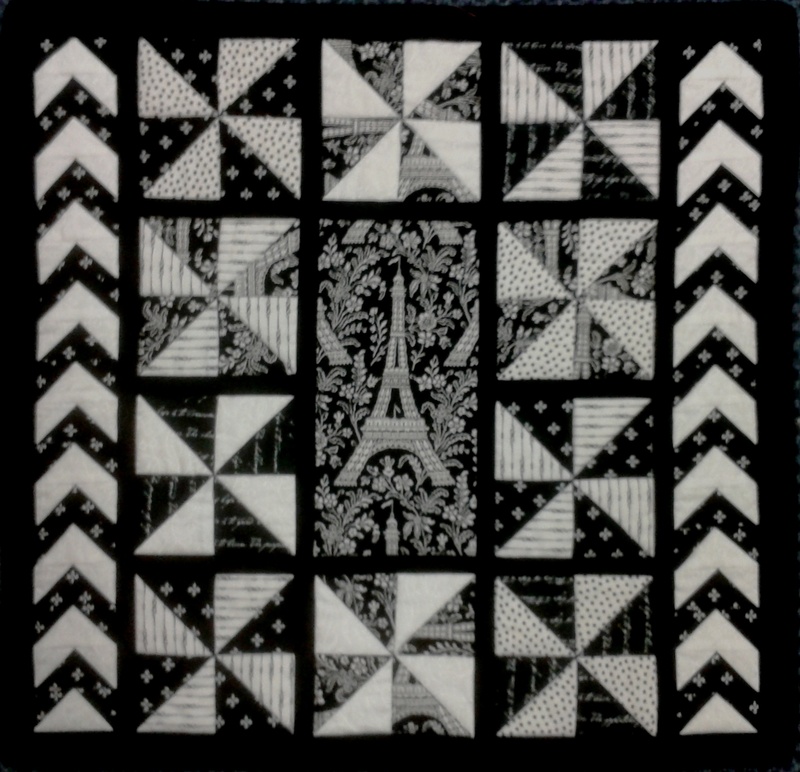 Participants bought a pack that contained a selection of black and white fabrics and were allowed to add one extra fabric to create a small project using whatever techniques they preferred. Over a period of weeks, staff and customers voted on their top three picks. 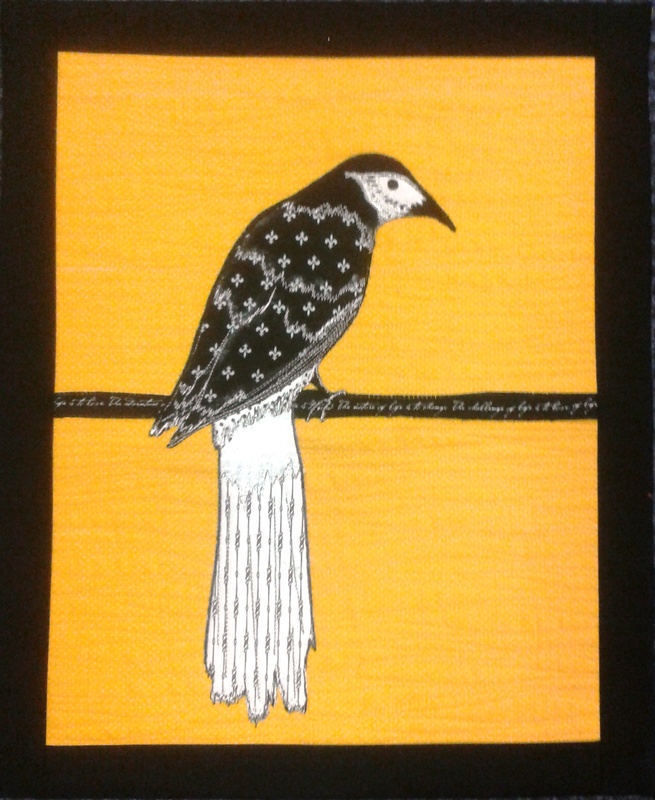 Prizes were awarded to the top three quilts that received the most votes and a ‘CEO Choice’ prize was also awarded. Thank you to everyone who participated and shared their creativity with us and ‘congratulations’ to all our winners. For those that missed out this time, keep your eye out for future challenges. 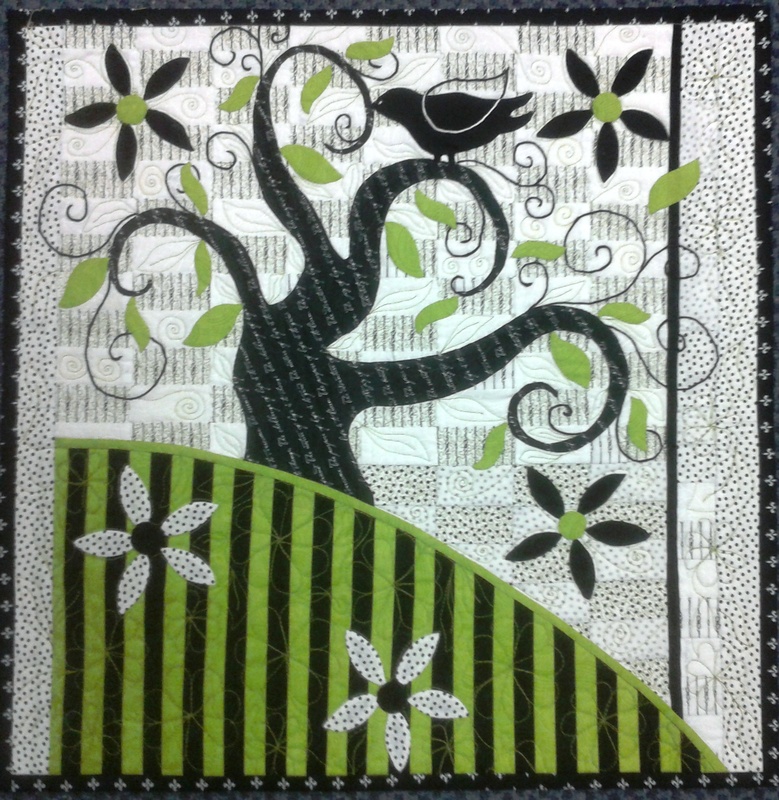 Second prize goes to a quilt that uses a black and white feature print to cleverly compliment the challenge fabric pack. 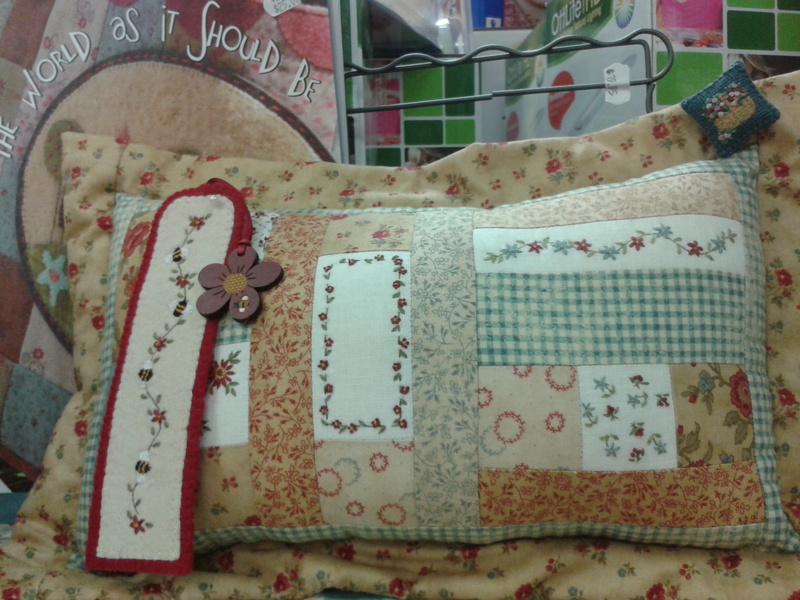 Third prize use the combination of log cabins, applique and great colour to win the votes. A perfect choice for the 'CEO Choice Award'! What a great morning it was last Saturday when we celebrated the end of another year with our annual customer Christmas party. 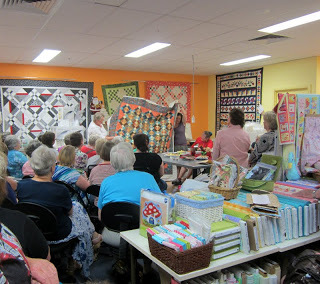 We welcomed about 60 of our customers and some of our staff to the store to enjoy an impressive display of ‘show & tell’, the announcement of the winners of our first ever Quilt Challenge as well as a bit of morning tea. Many took advantage of the great bargains set up for the day which kept the staff running for a couple of hours. It has been good to see many of you back again this week to take advantage of the discount voucher you received in your goody bag!